Comment: 2 story, 1274 sq ft, 3br/3ba home with no gutters. With all this rain, I would like to have gutters installed. Comment: Some sections of the gutter have fallen off. The eaves are pitched at an angle and some of the nail connections to the eaves have worked loose over the years. An addition has gutters that are still in great shape. San Bernardino Gutter Cleaning & Repair Services are rated 4.75 out of 5 based on 298 reviews of 3 pros. 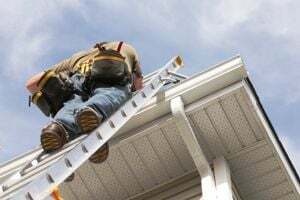 Not Looking for Gutters Contractors in San Bernardino, CA?